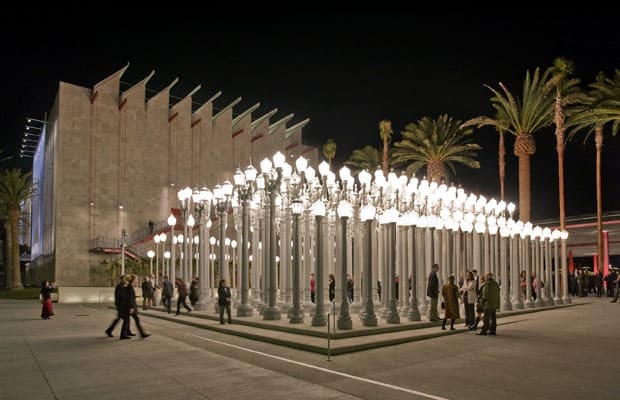 The Los Angles County Museum of Art (LACMA) has made an effort to incorporate the film industry into its galleries. To prove this, the institution has named director Martin Scorsese as an honoree at their third annual Art+Film Gala. Artist David Hockney will also be honored at the benefit. Hockney is a huge name, but the decision to honor Scorsese is epic considering that the director wrote an open letter to the museum and its director Michael Govan that had some pretty heated words. Scorsese was pissed that LACMA decided to do away with its weekend film screening program that had lasted decades. “People from all over the world are speaking out, because they see this action -- correctly, I think -- as a serious rebuke to film within the context of the art world,” he wrote back then. Basically you can consider the benefit as a big "I sowwy." Since the decision that frustrated Scorsese, the museum has done its best to get back on Hollywood&apos;s good side. LACMA has drafted curator Elvis Mitchell for a new screening program, showed a lot of film-related exhibits like Stanley Kubrick retrospective, and announced that Academy of Motion Picture Arts & Sciences is slated to open its museum on the LACMA campus.